On Sunday, one of the best-known racecourses in the world permitted orienteering on their turf. Thanks to controller Charlie Turner, and the Mole Valley team. Philip Gristwood’s new map showed a great deal of hard work to map detail in the woodland. 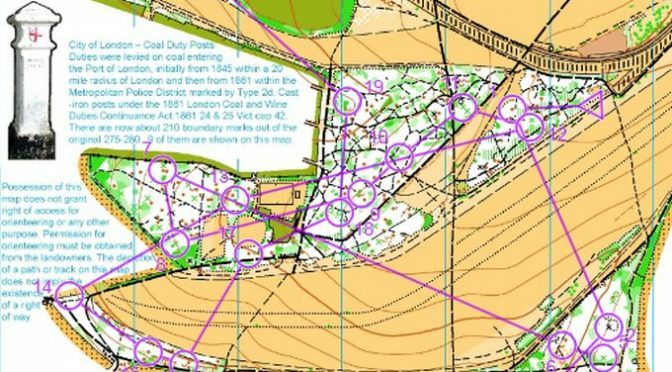 The planner Tony Schofield, could thus test the field with fine navigation in the woods, rather than long runs across the downland, although there was a bit of that too. Our Autumn series uses unadjusted BOF Ranking Points for a light-hearted comparison of our runs. Not surprisingly the SLOW runners with thoroughbred runs at the top of the brown course came away with most points, with 5 scores over 1200. Next best was Rebecca’s excellent score on the blue.